I’d actually rather keep training, to be honest with you. I think it gets you out of your rhythm. Aside from the players who are out for the season (such as slot CB JaCorey Shepherd, LB Travis Long, K Cody Parkey and G Andrew Gardner), the team is pretty much entirely healthy. Left tackle Jason Peters left Game 7 with back spasms and didn’t practice Tuesday or Wednesday, but rest is the best treatment for spasms. 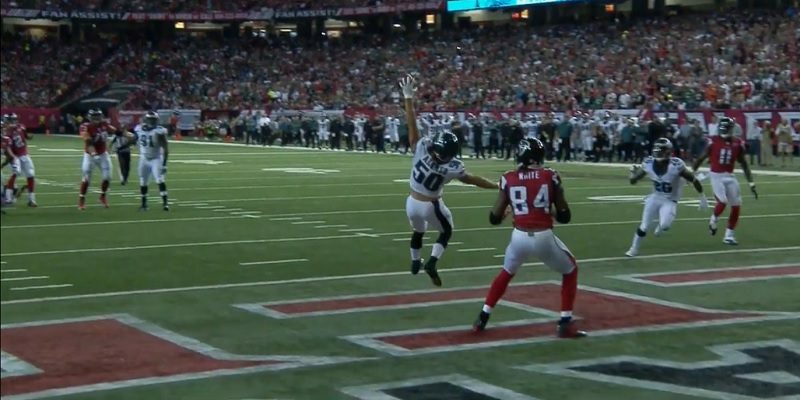 It looks likely that he’ll play Sunday, and the Eagles need him. 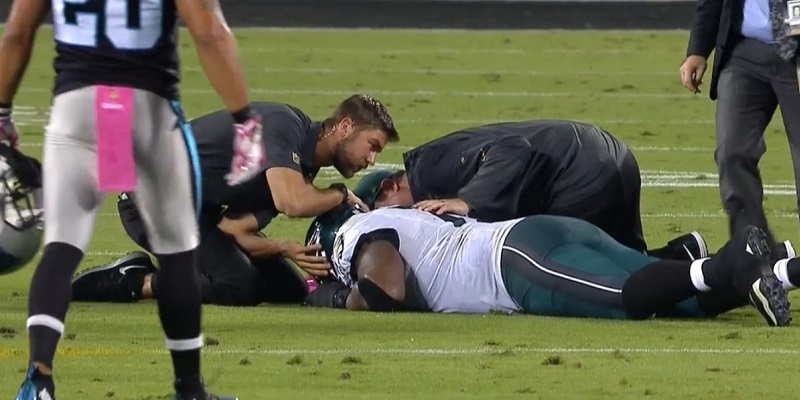 Jason Peters injured against Carolina (back spasms). Star inside linebacker (and ex-Duck) Kiko Alonso will be back from the left knee injury that has knocked him out for four and a half games. Despite initial reports, this was not a new partial tear of his twice-ripped ACL. According to Alonso, he could tell the difference (since he’s sadly familiar with that injury) and just went in for an arthroscopic “cleaning.” Five missed games suggest that the cleaning was very, very thorough. His fellow ILB Mychal Kendricks missed three games with a hamstring pull and will be back as well. In their absence, rookie ILB Jordan Hicks has exploded with 43 tackles, a sack, a forced fumble, an interception and three fumble recoveries. With DeMeco Ryans still on the team, it would be tragic if they sat those two to rush Kendricks and Alonso back too early and one of them had a serious injury. 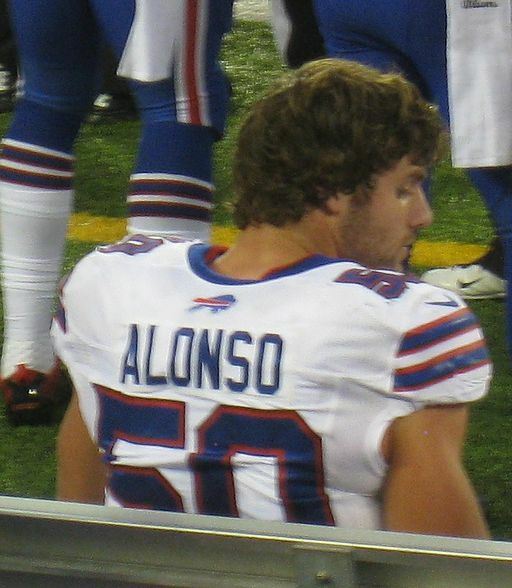 Kiko Alonso wants to get off the bench. Ryans, who is 31, has definitely lost a step or two and is a liability in pass coverage, however, and Hicks and Alonso are new to the system. The team will most likely rotate all four situationally. Hopefully they all stay fresh and give the Birds a lot of very specific matchup choices. It’s hard to shake the worry, though. With a little perspective, this season doesn’t seem quite as terrible as it felt on October 4th after the frustrating loss to the Skins. Since then, the Eagles have destroyed New Orleans and the then-hot Giants, losing only to the undefeated Panthers, who are clearly just a superior team. The offensive line has pulled it together, even with further injuries, which has opened up the running game. Instead of the team sucking all year, it looks increasingly like the first two games — against a Dallas team that still had Tony Romo and the surprisingly good Atlanta Falcons — were the outliers. After just 18 rushing yards against Washington and 17 against Dallas, the Birds have racked up 186, 158 and 177 yards on the ground since. The consistency there is just as important as the amount. Even though there are nine games left in the regular season, Sunday night’s game against Dallas might well decide who wins the NFC East. The Giants have what sportswriter Jimmy Kempski calls “historically awful defense,” making them unlikely to contest for the division title despite their current tenuous lead, and Washington is, well, Washington. Dallas has lost five games in a row since Romo and Dez Bryant were injured, but Bryant returned last week and Romo is already practicing again. Their defense is tough, as defensive end Greg Hardy has proved just as good at roughing up quarterbacks as he is at roughing up women, and their offensive line remains good if not as dominant as advertised. Bryant and LB Sean Lee have been Eagle-killers in the past, and even their third-string QB Matt Cassell — who has struggled recently in losses to the Giants and Seahawks — ripped up the Birds in 2013 when he played for Minnesota and won a big upset victory. Yes, Dallas is wounded and falling far behind even in the execrable NFCE, but they’re starting to wake up from their coma. Philadelphia needs to kill them off Sunday night to prevent a big comeback from this dangerous rival.